The Independent National Electoral Commission on Thursday evening released the final list of candidates for the governorship elections and state house of assembly. Noticeably absent from the list are APC candidates for both Rivers and Zamfara. According to Cable News, a court of appeal sitting in Port Harcourt, Rivers state, had ruled the party cannot field candidates for the forthcoming elections. The state high court had in a ruling voided the party’s congresses, saying they were conducted in outright violation of subsisting court orders. The Election Petition Tribunal sitting in Abuja struck out the case of the People’s Democratic Party (PDP) Governorship candidate in the July 14 Ekiti State gubernatorial election, Kolapo Olusola Eleka and upheld the election of Dr Kayode Fayemi, candidate of the All Progressives Congress (APC) as the duly elected governor of the State. The tribunal on Monday unanimously struck out Eleka’s petition challenging the election of Dr. Fayemi on grounds of alleged irregularities and malpractices. Vice President Yemi Osinbajo assured supporters that President Buhari’s administration would jail more corrupt Nigerians, if re-elected. Osinbajo made the promise on Monday during his house-to-house campaign in Ifako-Ijaiye Local Government Area of Lagos. Following the suspension of Chief Justice of Nigeria, Justice Walter Onnoghen, lawyers and some Civil Society Organisations stormed the Nigerian Bar Association, Abuja, on Monday to protest, Premium Time reports. Chris Ngige, Minister of Labour and Employment, said on Monday that the Nigerian government did not approve N30,000 as national minimum wage as believed. He stated this at the public hearing on the national minimum wage bill ongoing in Abuja. 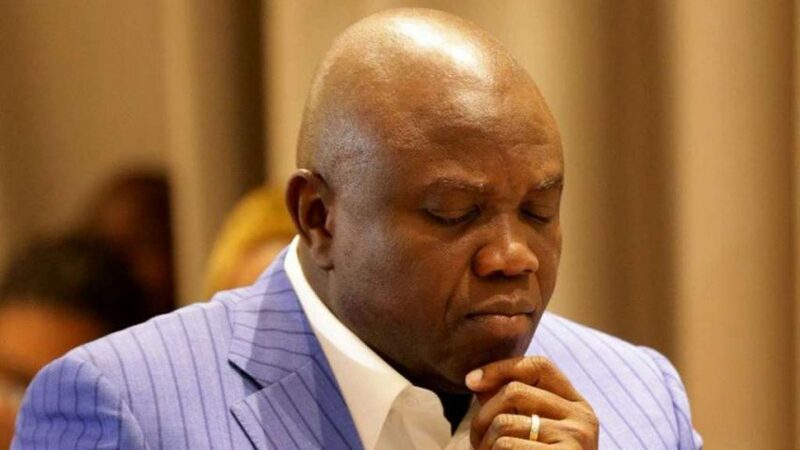 The Lagos State House of Assembly on Monday threatened to impeach Governor Akinwunmi Ambode for allegedly spending funds which were not appropriated for. The Assembly subsequently asked Ambode to appear before it within one week over the 2019 budget, which has caused disagreement between the two arms of government. However, the Speaker of the House, Mudashiru Obasa, told the lawmakers that it was important to give the governor a fair hearing over the issue. The Police Service Commission on Tuesday announced the promotion of eight senior police officers to the rank of deputy inspectors-general. The new DIGs are: Aminchi Samaila Baraya, North East; Usman Tilli Abubakar, North West; Abdulmajid Ali, North Central and Frederick Taiwo Lakanu, South West. Godwin Nwobodo, South East; Anthony Ogbizi Michael, South South; and Yakubu Jibrin from North Central were also promoted as new DIGs. Nobel laureate Wole Soyinka has said that he will not be voting for either the two so called contesting parties because he finds both of them worthy of absolute rejection. Soyinka made stated this on Thursday at an event organised by Citizen Forum, held at the Freedom Park on Lagos Island, Lagos. President Buhari on Thursday dismissed claims that his association with Governor Abdullahi Ganduje of Kano has diminished his commitment to the war against corruption. The Presidency in a statement signed by the Senior Special Assistant to the President on Media and Publicity Malam Garba Shehu said that there was a difference between perception and reality. He also noted that under Nigerian laws, an accused remained innocent until proven guilty by the courts.